The airy interior of Blacktop Coffee. 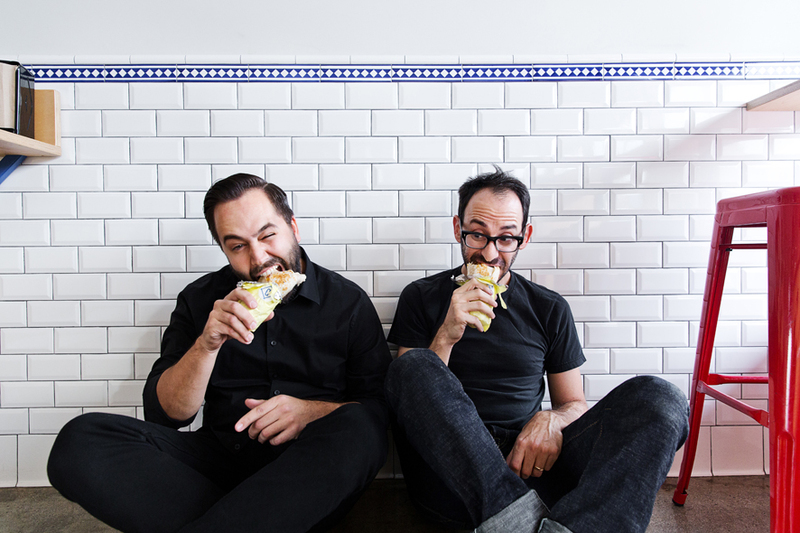 Cofax manager Adam Flamebaum and co-founder Jason Bernstein take a burrito break. 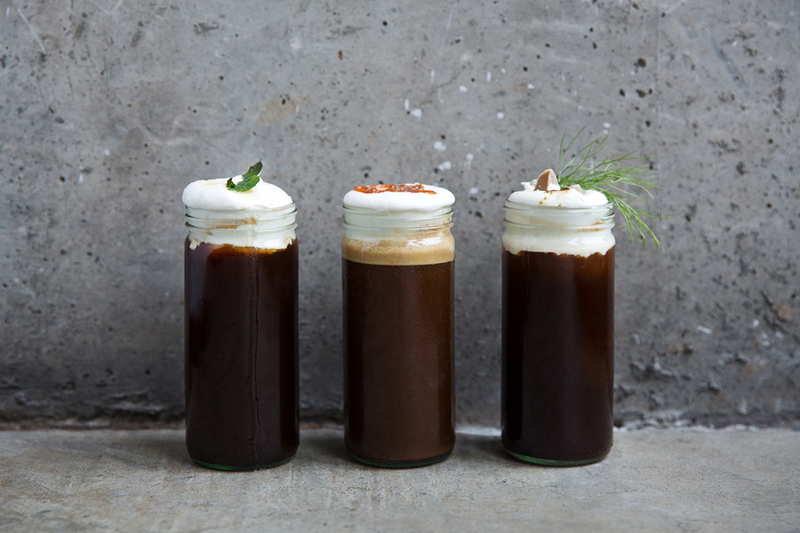 Seasonal cream-topped coffees at Field Trip. Vietnamese coffee and pastry puffs at Field Trip. The epic coffee milkshake at G&B Coffee. The coffee bar at G&B Coffee in Grand Central Market. 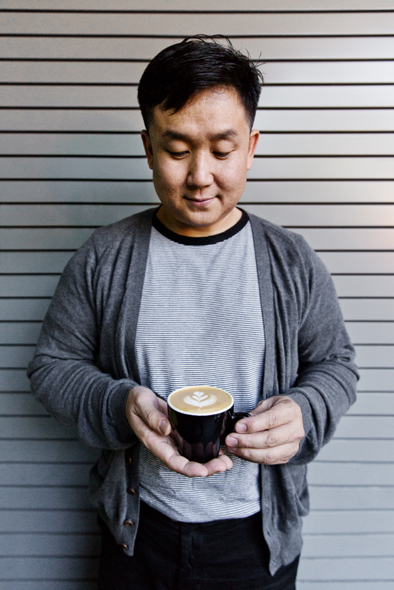 Yeekai Lim, owner of Cognoscenti Coffee. 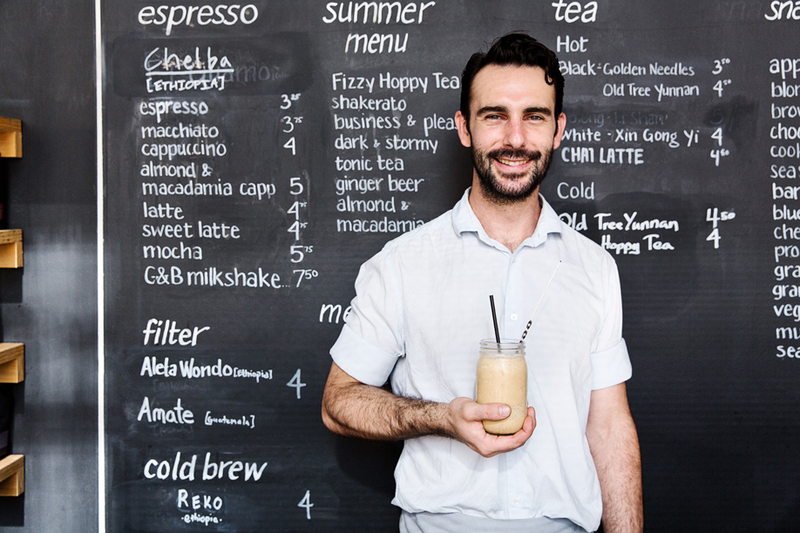 In a city where coffee shop chains once dominated, there are now a multitude of indie cafés serving expertly made drinks. 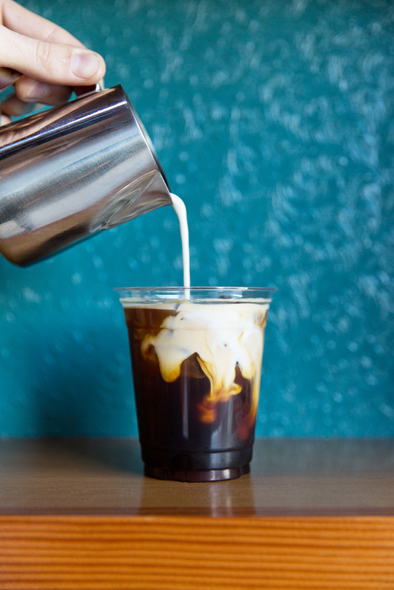 Want to know where to get the best coffee in Los Angeles? Head to any of these must-visit spots. As charming a café as they come, Alfred serves Stumptown coffee alongside sandwiches and pastries from Farm Shop. Ask for the “Alfred Cone”—a decadent macchiato served in a chocolate-rimmed ice cream cone. 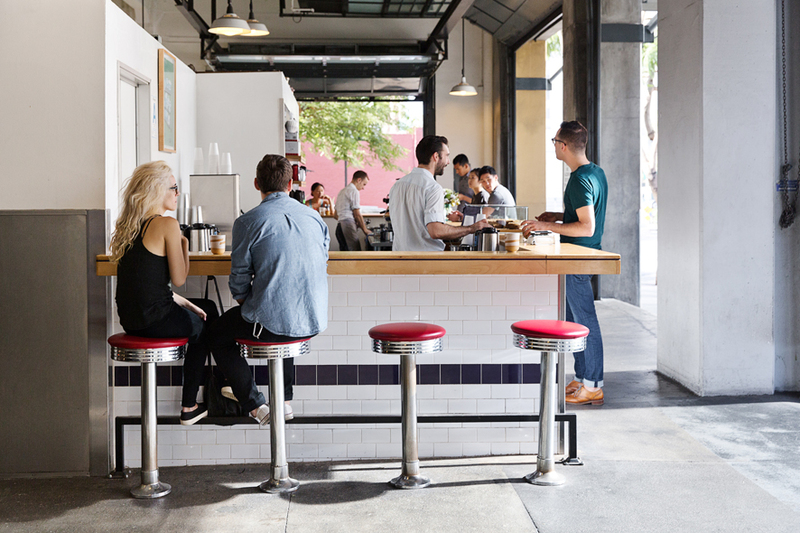 Offering a nod to European coffee counters Blacktop co-founder Tyler Wells (formerly of Handsome Coffee) serves Sightglass espresso drinks from this 250-square-foot Arts District café. Last year, local favorite Handsome Coffee landed under the wing of Blue Bottle, and their Arts District café changed names accordingly. Change can be scary, we know, but not to worry—Blue Bottle is every bit as good. This bright and friendly café in the Highland Park neighborhood serves well-brewed Stumptown coffee along with house specialties like horchata combined with espresso. Killer coffee and breakfast burritos? Coffee beans come from Stumptown as well as a guest roaster, and they’re one of the few spots in LA to make a flat white. This Culver City café has tons of character with an impressive wall of vintage coffee brewers, a beautiful roaster proudly on display, plenty of indoor and outdoor seating and, of course, killer coffee. Walk into this downtown café and you’re greeted by a bright red, fully refurbished La Marzocco espresso machine and a bold Chemex brewer painted on the back wall that doubles as the menu. 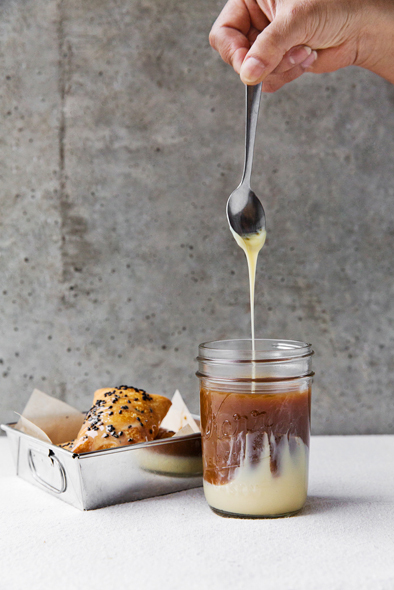 Order for a cold brew and a doughnut—you won’t be disappointed. 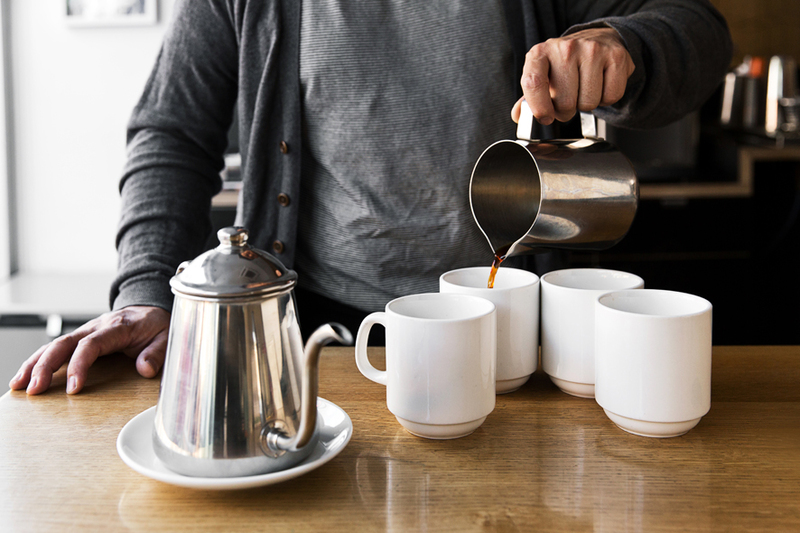 Coffee beans from a selection of roasters around the country are the stars of the show at this quaint Culver City café. And chances are, owner Yeekai Lim will be behind the counter pulling the shots, ensuring your coffee is as good as it gets. 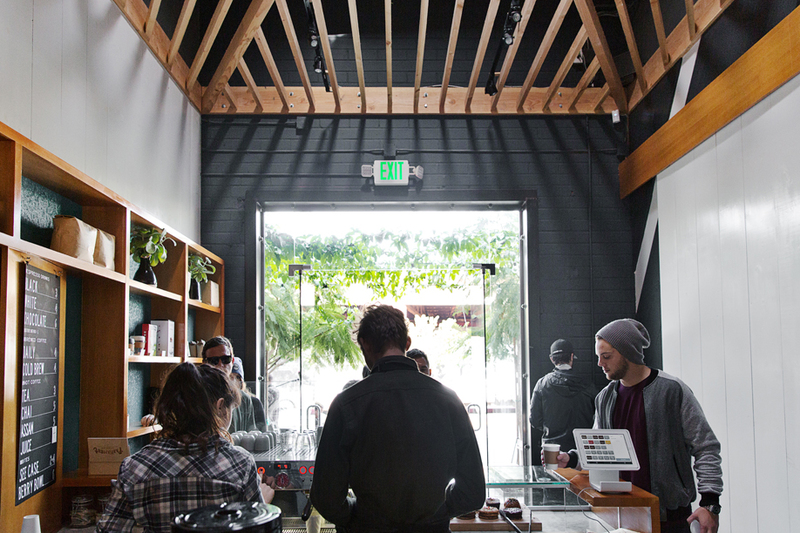 Grab a cup of Four Barrel coffee at this airy, easy-going shop in Silverlake. They host events regularly, like a pop-up with locally made Sweet Clementine popsicles. Porridge, puffs and Vietnamese cold brew (with beans from Verve) are the m.o. of this light and bright Hollywood café. A sunny outdoor patio, free wi-fi, tasty pastries and deliciously brewed Intelly coffee offer plenty of reasons to check out this welcoming neighborhood café. This Larchmont spot comes from the team behind G&B Coffee, and the coffee and service are just as good. Get a cappuccino with the insanely good toast topped with housemade hazelnut-chocolate spread. Chi-town roaster, Intelligentsia was California dreamin’ when they set out west to Orange County in 2007. They now boast three locations, including a Glassell Park roasting facility and training center, and the Venice Coffeebar, which serves their flagship Black Cat espresso pulled from a vintage La Marzocco by award-winning baristas. The bright red storefront is hard to miss, and the Clover- and Chemex-brewed namesake coffee is even harder to forget. Portland’s own found a shiny new home in downtown LA as part of its expansion around the country. Head over there for reliably good brews, tunes and people-watching. 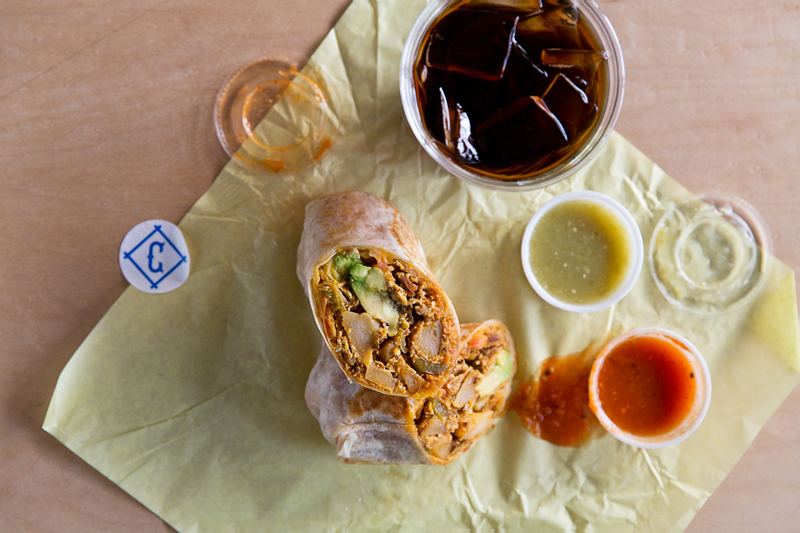 Santa Cruz-based Verve opened its first Los Angeles locale in early 2015. Right in the heart of DTLA, expect Verve’s same delicious, house-roasted coffee drinks in addition to fresh juices from Juice Served Here. An unassuming storefront in Echo Park leads to a much more inviting interior with a rustic, DIY vibe. Woodcat serves coffee from Wrecking Ball, and the bar features a refurbished Faema espresso machine that pulls beautiful shots. 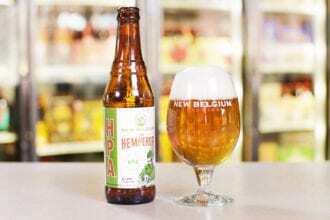 A harmonious marriage of hemp and hops.